This week’s podcast interviews photographer Zack Arias who discusses big changes in his work and professional life. We then check in with Chase Reynolds about two hot new pieces of gear. When that’s done, find out about our latest contest (with big prizes). Zack Arias is a professional photographer based in Atlanta, GA. He’s spent a lot of time working in the music industry as well as working for a lot of editorial, corporate, and commercial assignments. He sees his approach as simple, bold, classic, and true. Rich Harrington and Melissa Niu catch up with Chase Reynolds to talk about some of the hottest new pieces of gear to hit the shelfs at LensRentals.com. Once a month we’ll explore some of the most popular pieces of gear. Be sure to leave questions for future shows in the comments. 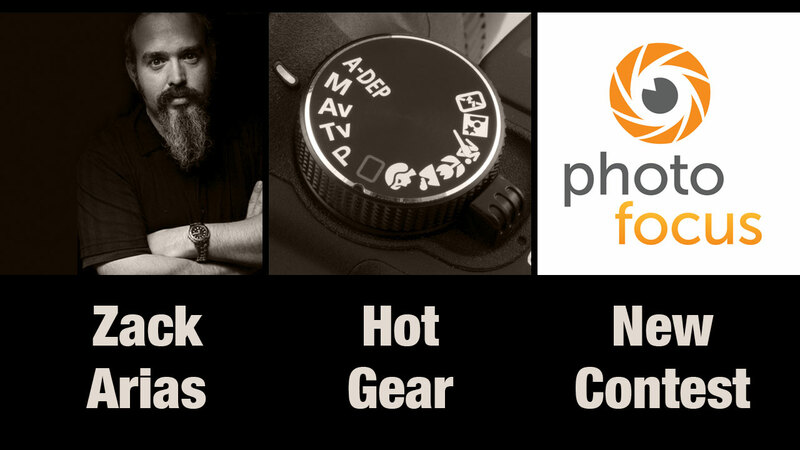 Melissa sits down with Ori from ViewBug to talk about the new Photofocus contest which just kicked off. Learn about some of the fantastic prizes as well as how to enter.